I’ve done a lot of thinking and writing about choice time, inquiry, exploration and play. 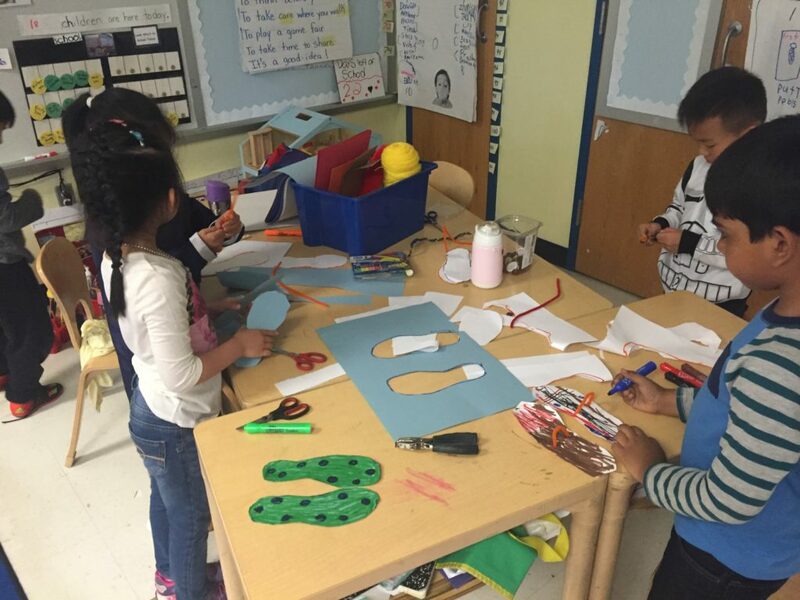 In my book on choice time I described how to set up and introduce a variety of centers that give children the opportunity and freedom to collaborate, create and have fun. 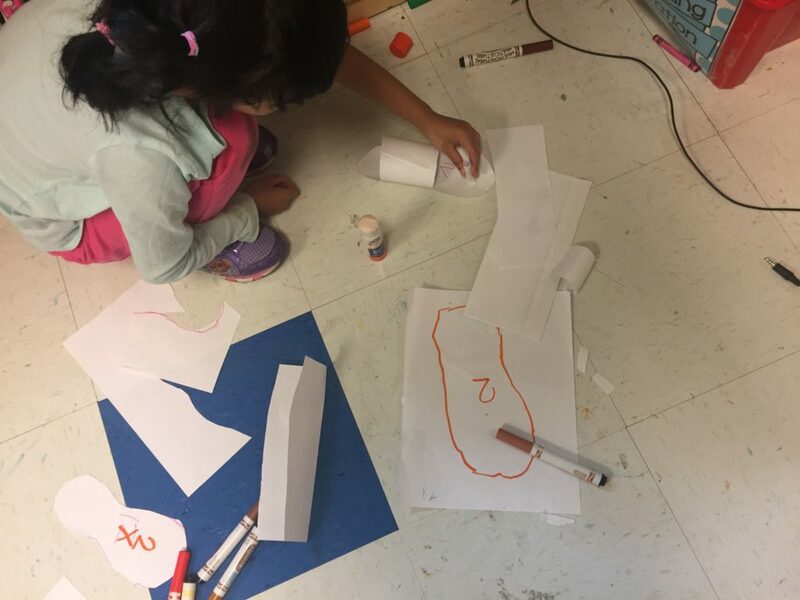 Lately, however, I find myself musing about what might happen if we could give children more freedom to not only choose what centers they want to go to at Choice Time but also what centers they want to create and organize themselves for investigation and play. These thoughts were fueled by something that I observed in a kindergarten class in Flushing, New York. The children wanted construction paper, crayons, markers, scissors, and pipe cleaners. When they organized their material, they got to work. They traced their feet and the feet of anyone who would want a pair of shoes special ordered. Shoe soles were marked so that they wouldn’t mix up pairs that went together. The shoes were decorated so that each pair had a unique look. Interest in the shoe production spread throughout the class and more children wanted time to work in the shoe factory. 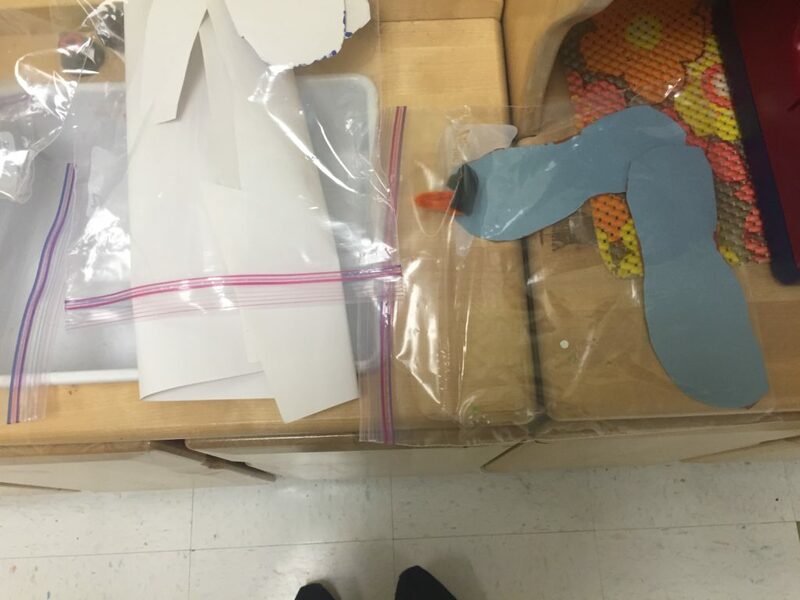 One of the children said that she saw shoes in a store hanging in plastic bags so children brought in zip lock bags to package their shoes. Fanny took the children on a walk to a local shoe store and then the children decided to turn the dramatic play center in a shoe store. Feet were measured. Shoes were bought. It was THEIR center and THEIR project. Now I’m trying to think about how teachers can support children’s ownership of centers. 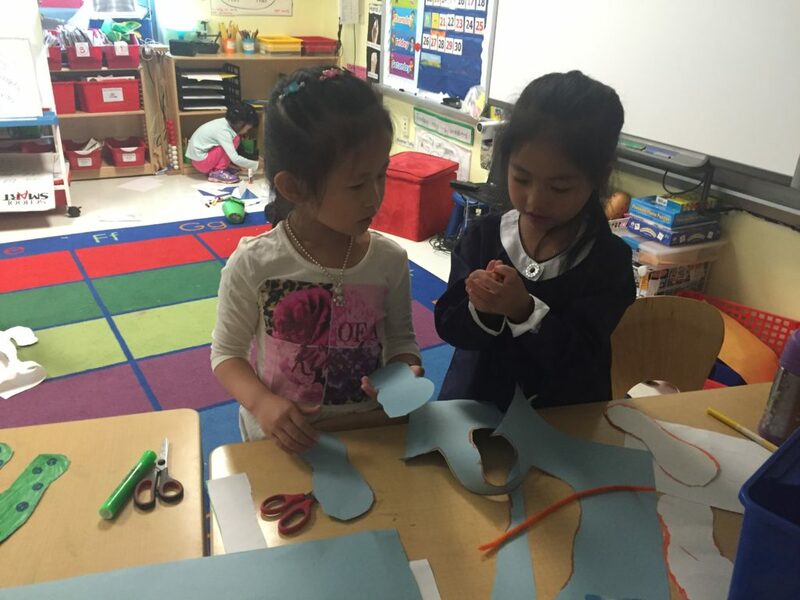 Are there structures for opening up conversations that encourage children to imagine centers that will reflect their personal interests and obsessions? I’m thinking about this and will write more very soon. I’m fired up with this idea! What are your thoughts and experiences? Let’s share ways that we can put more decisions about choice time in the hands of children. “A little girl named Yi Tong initiated the entire shoe center. 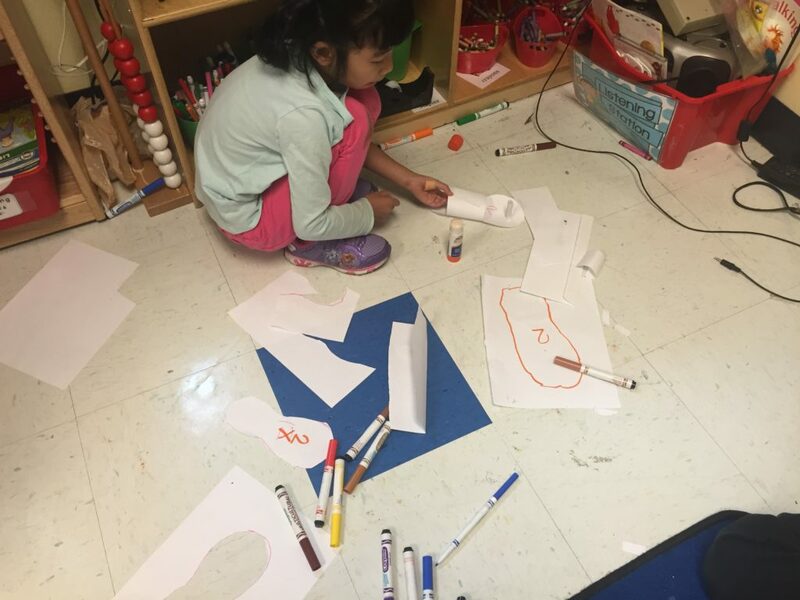 She was at the writing center and she started making a shoe that her mother bought her in the store. She inspired so many other children and they all made connections with her story. Everyone had something to share about going shopping to buy shoes. My role was just listening and showing interest and excitement. I slowly started to add on to what was going on in the classroom. 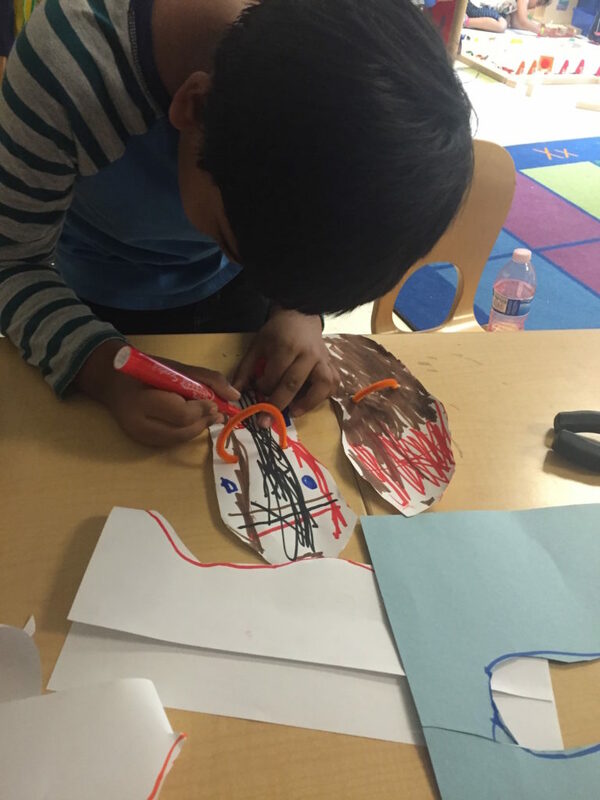 I would walk around and say, “oh, I noticed that more children are making shoes with paper. What are some other tools we can use? What other centers can we add to our choice chart that are related to shoes? 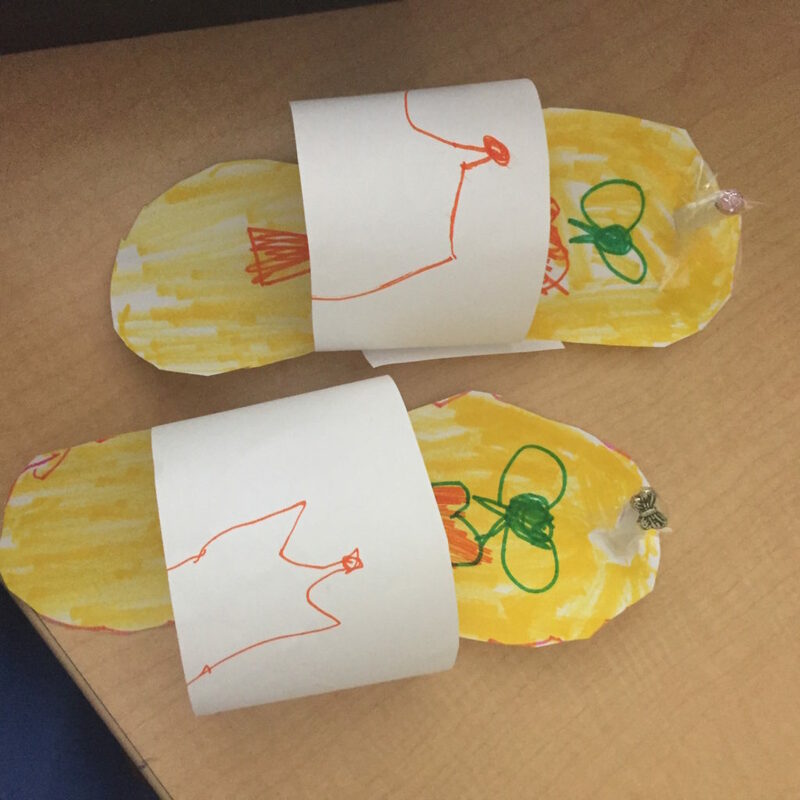 This entry was posted in Investigating Choice Time: Inquiry, Exploration, and Play and tagged Choice Time, Fanny Roman, Margaret Mead, shoes on November 27, 2016 by Renee. What a joy to read! These kinds of curricula warm my Bank Street-trained heart. Thanks, Renee! Personally, I wonder if the bigger challenge involves how to address the need for such learning among older students. Thank you Joan. I must also extend your compliment to the wonderful teacher, Fanny Roman. She’s smart and sensitive. A wonderful combination! Thanks Nancy. Well, I’m going to give this a try in Jeremy’s 4th grade class. It will look different and the same…or so I hope! I’m inspired by this, and your presentation at NCTE, Renee. The key in this kindergarten classroom is that Fanny, their teacher, listened. She observe red, listened and responded to what the children were curious about. She provided them with the environment (as you discuss often – the second teacher), the tools, but not the ideas. The ideas were nurtured by their teacher. You should also include their reflection in their “reflection journals.” I appreciated that idea from you. Thanks, Renee. Thank you Mary Anne. This year we are going to spend more time diversifying the documentation, including videos, transcripts and children’s journal entries. Let’s see what we get! And yes, Fanny is a wonderful listener and knows when to step in and when to step back. I’m lucky to be working with her. Wasn’t it fun spending time together at NCTE? This is so splendid! I am just enamored of your way of teaching, of allowing children real choice unlike the fake choice talked about today. I still hold onto materials I hope a teacher can use – oatmeal boxes (for drums), toilet paper rolls (maracas), fabric (so many uses), colored papers, unused stationery I receive as incentive to donate, etc. But I don’t find too much interest since teachers I know don’t have time. So tragic. I wish that teachers stage a huge revolt and refuse to teach to the test and open up centers. I even tried to do this in my library. This is such a wonderful classroom story to share…there’s a simplicity here that is so beautiful – truly child-initiated, and Fanny Roman was there to listen and support the children’s intentions while creating opportunities for them to pursue their interest in a variety of ways. I can’t wait to follow your kindergarten year. Keep a diary! I am not a teacher, but my children engaged in this activity at home, incessantly it seemed at the time! I think it started with paper shoes, then moved to a paper backpack (filled with kidmade paper folders and ‘books’), and a belt of paper clips (resorted to when the paper belt proved to be structurally insufficient). I joked that my older daughter was the kindergarten Kate Spade. That same child, now a teen, has taught herself how to sew and to use online computer drawing programs, with impressive results. Kids really can lead the way! Absolutely, they can lead the way. Thank you for sharing this!